EXCLUSIVE: Seven Studio’s Head of Unscripted TV Rikkie Proost is departing after a decade with the network. During his time with the network he has also been Executive Producer, Head of Reality TV and Head of International Development. Proost has been instrumental in the success of hit franchises My Kitchen Rules and House Rules but there have been numerous shows under his watch including local adaptations of First Dates, Beauty & The Geek, The Amazing Race, Gladiators, Seven Year Switch and Bride & Prejudice. Casting and format development have been amongst his strongest skills embedded into the Seven brand over the past decade. 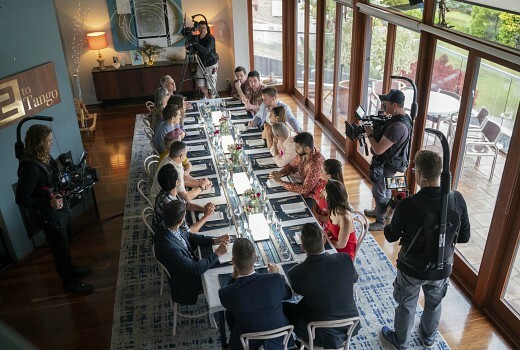 MKR, currently in its 10th year, is now produced in 13 international territories. Proost will depart Seven Studios at the end of the month. His replacement is yet to be announced. I’m almost certain that he worked as a producer on “Who Dares Wins” back in the 90’s but in any event, his departure will prove to be a profound loss for Seven. Whichever employer who next engages his services will benefit from his abilities.